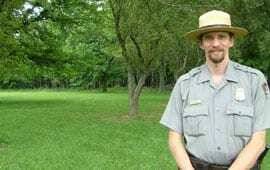 The mission of Pea Ridge National Military Park Foundation (PRNMPF) is to educate the public on the Civil War significance of the Park and how the Park can be used as a family destination for enjoyment, fitness and education. The Foundation’s aim is to raise awareness of the additional support required to help provide and preserve the natural, historical and cultural environment of the Park through personal involvement. Our goal is to raise funds to complete various projects that will enhance the Park’s appeal to the general public. 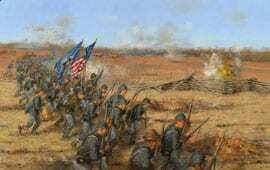 The Pea Ridge National Military Park Foundation is a 501-C-3 non-profit organization. The Foundation is working to improve the public’s experience at the Park and to raise community and national awareness. Our fundraisers have generated tens of thousands of dollars that have been used to improve the visitor’s experience. 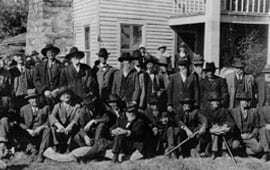 — Two coats worn by the Commanding General Samuel R. Curtis, at the Battle at Pea Ridge, were purchased through various fundraisers by the Foundation. The Foundation raised $32,000. — We supported development of, “Thunder in the Ozarks,” a 30-minute film shown in the Park Visitors Center. The interpretive film recounts the battle and serves as a prelude to exploring the park. $4,600 was raised to go towards the creation of the film. — In order to properly screen “Thunder in the Ozarks” the Park Visitors Center audio visual equipment needed to be upgraded. The Foundation raised $26,000 to allow visitors to properly view the film before beginning their exploration of the park. The foundation commissioned artist Andy Thomas to create the oil painting “On The Battery.” The painting now hangs in the Park Visitors Center. This coincides with our current project to bring the painter’s works into the park, both as works of art and as interpretive displays. 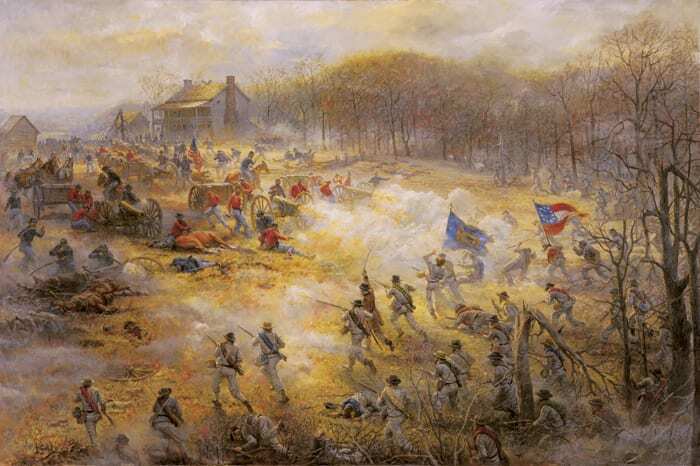 In 2004, the Park Service authorized artist Andy Thomas to create 10 images depicting key battle scenes. 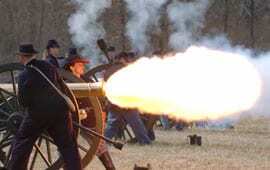 In 2008, digital versions of these images were incorporated into interpretive panels positioned throughout the park significantly improving visitors’ understanding of the battle. These panels are one-of-a-kind interpretive Civil War exhibits and the first of their type west of the Mississippi. 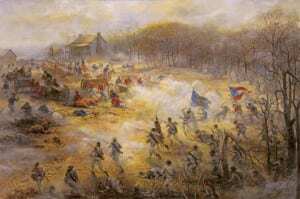 The Foundation needs your help to raise funds to purchase the 10 original oil paintings of the Civil Battle of Pea Ridge, which will be donated to the Park. Contact us to find out how you can support this project.